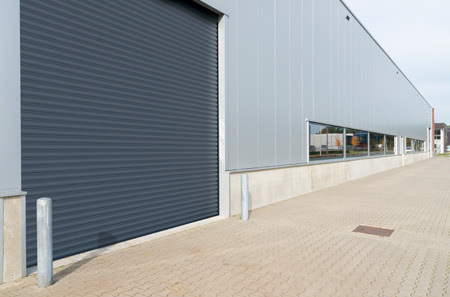 Our manual chain operated industrial doors combine all the qualities of the robust SeceuroDoor 75 but with the added benefit of manual operation. When no power is available you can benefit from this quality engineered product we have developed just for you. 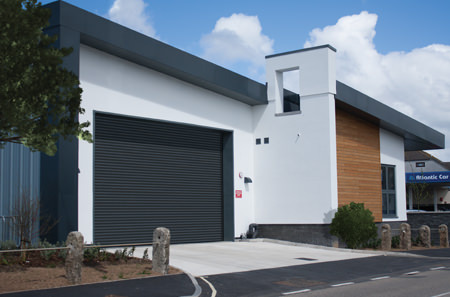 An insulated door is available in this range, the SeceuroDoor 77c and we offer vision options on our non-insulated door. Along with these practical advantages you can choose from a wide range of colours and finishes to make the door your own. We are able to offer three standard variations of guide angle arrangement. The appropriate solution will depend on the structure the product is being fitted to and the application. 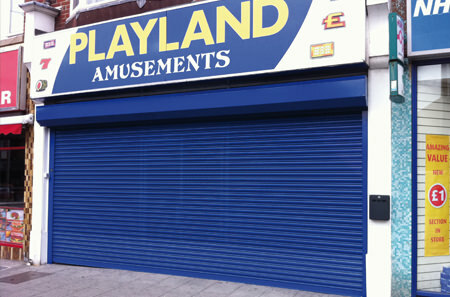 Polyester powder coating is a surface finish applied to shutters and retractable gates in a solid, powder form after careful pre-treatment of the surface. The coating is fused by heat to produce a continuous film and curing of the coating gives its design properties. The result is a high performance finish that delivers exceptional corrosion protection, durability and resistance to yellowing making it suitable for both interior and exterior use. The process is virtually emission free, so is environmentally friendly. 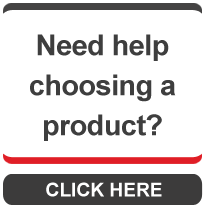 Extruded profiles and the aluminium shutter box profiles are powder coated in a satin finish (unless stated otherwise). Gloss (80% +⁄-5%): A highly reflective smooth surface. Gloss surfaces due to their highly reflective appearance tend to highlight surface imperfections. Satin (65% +⁄-5%): A satin finish is not as reflective as the gloss finish and because of this is less likely to show any surface imperfections. Satin finishes also provide a good surface for cleaning and resisting abrasion. Unless stated otherwise this is the standard finish supplied. Matt (30% +⁄-5%): A matt finish due to the low gloss level is very good at concealing surface imperfections. Due to the textured finish the surface is more difficult to clean than a surface with a higher gloss level. Powder coating of the SeceuroDoor 100 will be to the external face only. All colours are supplied in Satin as standard, Matt & Gloss are available. Each month we pick out our favourite projects and feature them here. They could be located in an unusual setting, an architectural masterpiece, a creative application of one of our products or just a really good example of our products in situ. Click the link to see some of our featured projects.